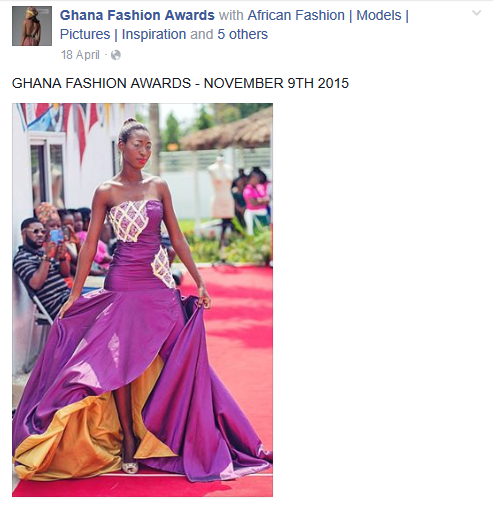 The premier fashion award scheme, Ghana Fashion Awards set to return after 2 years break. The announcement was made by Accra based television station, Etv Ghana after acquiring a five-year rite from Fashion Xpo own by Florence Toffa. CEO of Fashion Xpo, Florence confirmed the acquisition to FashionManiaGh on phone. According to the statement released by the station, this year event is slated for Saturday, 21st November 2015 and the event is expected to host an impressive array of people from the fashion industry as well as other related industries. So many concerns calls and messages has been coming in via our phone line and email trying to confirm how true and free and fair the event would be if it's actually holding. During our findings, we noticed that the organizers have announced three different dates for this year event; same thing happened last year and and year before and the event didn't come up. That left us wondering if the same postponement will not happen this time again. Another observation is the new date of the event, November 21, which is less than 40 working days from the date of this publication. When is the organizer going to call for nomination? When is the voting process going to start and end? How is the judging process going to be like?. These and many other questions has created concerns on the free and fair selection of winners for the event. We will keep our fingers crossed for more update. "e.TV Ghana, the station with quality local and foreign content, has recently acquired a five-year rite to organise the Ghana Fashion Awards. This year the event is slated to take place on Saturday, 21st November 2015. Nominees and venue for the event are yet to be announced, but the event is expected to host an impressive array of people from the fashion industry as well as other related industries. The Ghana Fashion Awards seeks to bring together and harness the shared aspiration, skills and knowledge of all designers and the fashion community to thrive for excellence in fashion advancement and improvement towards an economical industry in Ghana. According to the General Manager of e.TV Ghana, JOT Agyeman, “e.TV Ghana is geared towards reinvigorating and highlighting the industries that affect us on a daily basis. All around the world and for us in Ghana, the fashion industry is an unavoidable one that plays a very key role in our lives. 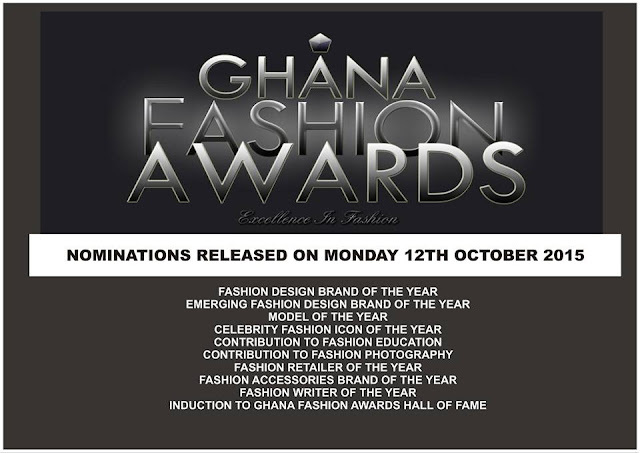 Categories for this year’s Ghana Fashion Awards are: Best Designer of the Year, Emerging Designer of the Year, Male Model of the Year, Female Model of the Year, Celebrity Fashion Icon of the Year, Fashion Contributor in Education and Mentoring, Contribution to Fashion Photography, Fashion Retail of the Year, Accessories Designer of the Year, (Jewellery and Beads Category and Accessories) and Designer of the Year, (Hair Bands, Shoes, Bags Category). As part of building excitement towards the event as well as educating the public about various fashion trends, e.TV Ghana will begin airing the fashion diaries between now and November 21st. 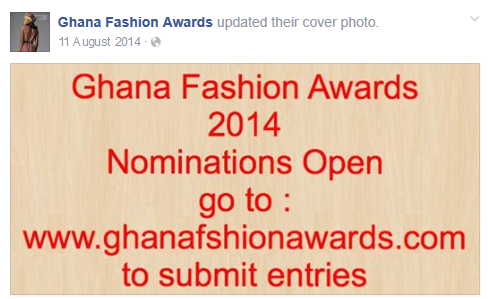 Fashion enthusiasts are advised to fully participate in the fashion wards by voting and supporting their favourite fashion personalities and brands".